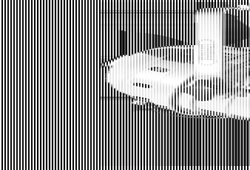 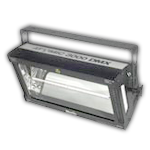 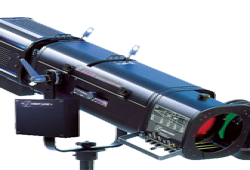 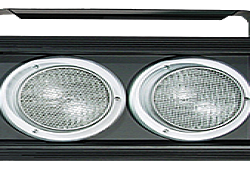 DMX-controllable passive lighting is used for stage illumination, with the possibility of using additional color filters and temperature corrections. 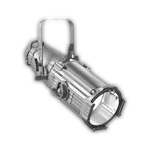 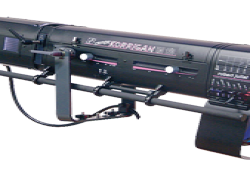 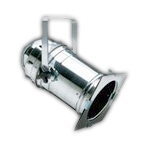 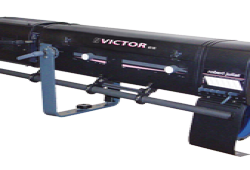 It is an essential part in both medium and large-size events. 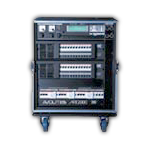 24-dimmer channel rack with two 12-channel dimmers, 16A each. 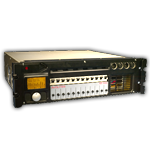 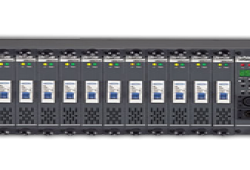 12-channel dimmer with 16A channel capacity. 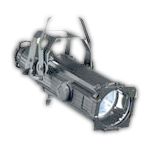 Lamphead with extremely bright ACL Aircraft lamp. 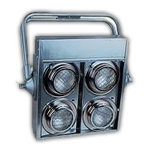 4 lampheads per block. 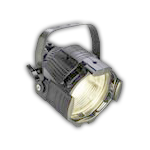 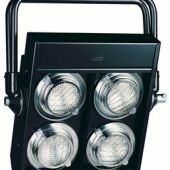 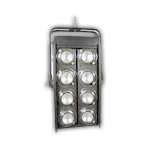 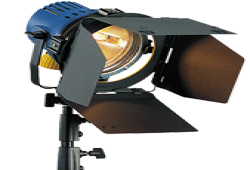 Extremely bright disperse lamphead for "audience-blinding"
Powerful disperse lamphead for "audience-blinding"
Strobe light with 3000W lamp. 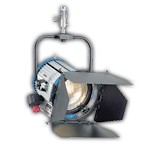 1200-Watt follow spotlight with zoom, 7deg / 14.5deg, with stand. 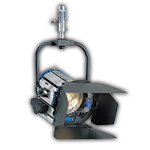 1800W follow spot with GT4000 stand.